Bariatric Surgery World facilitates easy medical loans to people seeking financial assistance for medical travel and treatments. Medical loans can be helpful to those in need of financial assistance for various surgical procedures. Are you seeking lap band surgery in Mexico? Or high quality gastric bypass in India? Despite the relatively affordable healthcare in these countries, are such surgical procedures beyond your paycheck allowance? 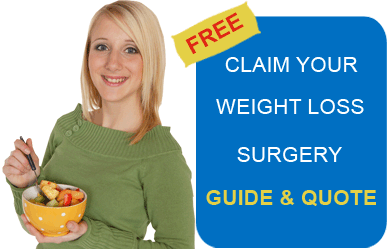 You may find some assistance with medical loans for weight loss surgery. These are the loans that are secured by collateral (assets belonging to the borrower in order to reduce the lender’s risk). This collateral may be seized if the borrower fails to return the loan amount in the given period. Low Interest Rate: Secured loans generally carry a lower rate of interest than unsecured loans since the risk assumed by the lender is smaller. Interest rates are subject to income, credit score, employment, and outgoings of the applicant and term of the medical loan. Longer loan term: Secured loans have the added advantage of longer loan repayment tenure of 10 years or more as compared to unsecured loans, which have a loan repayment tenure of less than or equal to 5 years. Larger loan amount: One can also obtain larger loan amounts than in the case of unsecured loans, depending on the value of the collateral. Secured loans are also a blessing for people with bad credit score. On the flipside, there is the risk of property, which has been pledged as collateral, being taken away on nonpayment of the loan amount. Unsecured medical loans are a great option for patients having no property to pledge as collateral. However, due to greater risk associated by lenders with unsecured medical loans, rate of interest charged is higher. One common example of an unsecured loan is the credit card. Majority of the medical loans are unsecured. Banks and lenders thoroughly appraise the credit worthiness of the potential borrower before sanctioning the loan. Lenders also consider the credit score and loan repayment capacity of the customer. Smaller amounts are sanctioned as compared to the amount sanctioned under secured loans. The term of repayment of an unsecured medical loan is usually longer than that of a secured loan. Weight Loss Surgery Loans in USA: Bariatric Surgery financing and loans can be a hassle-free arrangement for US patients with help from leading healthcare lending companies. Weight Loss Surgery Loans for Canadians: Medical loans for Canadians, who are unable to afford bariatric procedures, can be arranged with medical loan companies to help them regain healthy bodies along with their lost confidence. Residents of other countries may contact Bariatric Surgery World to get assistance with finance for their Weight Loss Surgery. How can Weight Loss Surgery Loans be of help? Getting secured and unsecured medical loans can be very helpful to those lacking bariatric surgery insurance cover. Varying from case to case, total cost of weight loss surgery and related expenses can be exorbitant. Even people having insurance coverage might face problems in making payments for the surgery and related expenses. Though weight loss surgery can be expensive, it is a worthwhile investment in one’s life as morbid obesity (body mass index of over 40) can take a heavy toll on the health of the patient and adversely affect his life every day. One can conveniently apply for loans on the Internet. Keeping in view the aforementioned points and the ease with which loans can be obtained, weight loss medical loans can be a viable option for potential patients. Having that shapely body by undergoing weight loss surgery in India, Mexico, Jordan, Costa Rica, or Belgium is no more a distant dream. Bariatric Surgery World has a leading medical loan processing company as affiliate to provide secured and unsecured loans. The medical loan application is confidential and secure. With one medical loan application the patient gets their application processed by multiple lenders. The application usually takes about two hours to process. 6 and 12 month zero percent interest terms are also available for qualified applicants, and there is no prepayment penalty.